Telangana SSC result 2018 has been declared. Candidates can check it at bse.telangana.gov.in and results.cgg.gov.in. New Delhi: Telangana SSC result 2018 has been declared. The result was expected today at 10 am, however it was delayed by 9 hours. The SSC result 2018 has been announced officially by the Deputy Chief Minister Kadiyam Srihari, after which it will be released online at the websites of the Board bse.telangana.gov.in and results.cgg.gov.in. 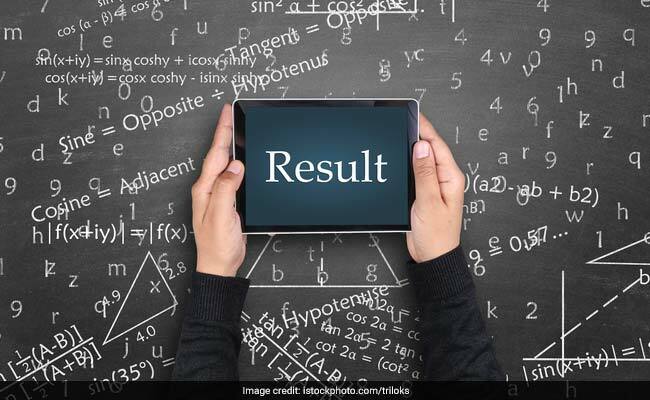 The Telangana inter results for both 1st year and 2nd year students were released online after it was announced at the board office in Hyderabad. Last year TS SSC result 2017 was declared for 7 lakh students on 3 May. April 27, 7.45 pm: Telangana class 10 supplementary exam will be held from June 4, 2018 till June 19, 2018. April 27, 7.40 pm: TS SSC result 2018 link activated online. Candidates can check using their hall ticket number. April 27, 7.30 pm: Online Telangana SSC result 2018 link is not active yet. April 27, 7.18 pm: Zero pass percentage recorded for 11 private schools. April 27, 7.17 pm: 2125 schools have attained 100 per cent pass percentage in Telangana SSC result 2018; 21 schools have zero pass percentage. April 27, 7.15 pm: Girls have fared well than boys in the Telangana SSC result 2018. The pass percentage of girls is 85.14 and 82.46 boys have cleared the exam, this year. April 27, 7.13 pm: BC Welfare School has the highest pass percentage 96.18 followed by Telangana State Residential, Telangana State Model Schools, Social Welfare Schools and Private Schools. April 27, 7.10 pm: Highest pass percentage has been recorded from Jagtial district; Adilabad district has the least pass percentage. Jagtial district students had fared well in inter results as well. April 27, 7.05 pm: TS SSC result 2018 declared; 83 pass percentage. April 27, 7.00 pm: Education Minister Kadiyam Srihari arrives to announce the SSC result 2018. April 27, 6.55 pm: Telangana SSC result 2018 to be declared anytime soon. April 27, 6.45 pm: Deputy Chief Minister Kadiyam Srihari to officially announce the Telangana SSC result 2018 in a while at the State Secretariat. April 27, 6.33 pm: Students are suggested to have their admit card in hand. Hall ticket number will be required to login to the SSC result 2018 portal of Telangana State. April 27, 6.20 pm: SSC result 2018 will be declared by the Deputy Chief Minister at Conference Hall of D-Block, Ground Floor, Telangana Secretariat Hyderabad today. April 27, 6.00 pm: Telangana students are eagerly waiting for the SSC result. BSE Telangana website is not responding now (www.bse.telangana.gov.in). April 27, 5.40 pm: Telangana SSC results will be available on the websites 7 pm onwards. In case of heavy online traffic, students may not be able to login to the website. In such cases students should not panic; the result will be available for few days on the website. April 27, 5.20 pm: As of now, there's no update on change in result declaration date or time of Telangana SSC results 2018. April 27, 5.05 pm: Last year, the pass percentage in the Telangana SSC result was 84.15%. While 85.37% girls cleared the exam, the pass percentage of boys was 82.95. April 27, 4.40 pm: BSE Telangana will release reverification details after TS SSC results are declared. April 27, 3.15 pm: For thereverification the dummy memo of marks of TS SSC result 2018 is required. April 27, 2.30 pm: After checking the Telangana SSC results online, students should save a copy of the online mark statement. April 27, 1.50 pm: Telangana 10th results will be declared for close to 5 lakh students, today. Students who qualify the exam can enroll for first year inter course; alternatively students can also opt for other courses. April 27, 1.30 pm: Telangana SSC result will be released ingrade points. April 27, 12.00 pm: The countdown for TS SSC result has begun now. April 27, 11.00 am: This year more than 5 lakh students had appeared for the SSC examination . which is lesser than last year when more than 7 lakh students had appeared for the exam. April 27, 10.00 am: This year, the results are being announced a bit earlier than last year. In 2017, the result for class 10 students in Telangana was announced on May 3. April 27, 9.00 am: The d-day is here for students. The Directorate of Government Examinations Telangana State will release the SSC Public Examinations March 2018 results today. As per sources the result will be announced later in the evening around 7:00 pm. 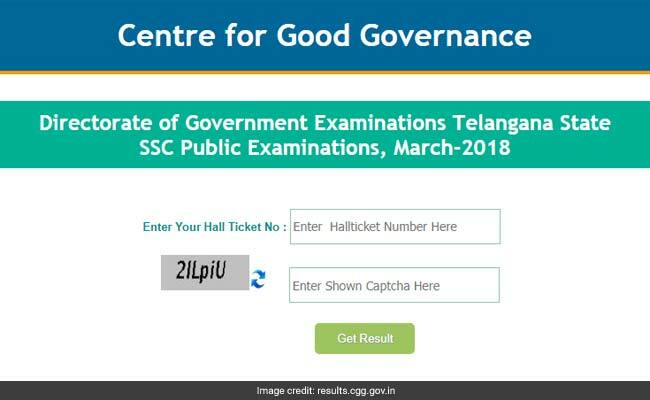 April 26, 9.45 pm: Directorate of Government Examinations Telangana State has updated the online result link for SSC public examinations 2018. April 26, 9.30 pm: According to the Hans India, Deputy Chief Minister and Education Minister Kadiyam Srihari will announce the TS SSC results at the State Secretariat tomorrow. April 26, 8.00 pm: Alternatively Telangana 10th class result can also be checked at manabadi.com, examresults.net, indiaresults.com. April 26, 7.30 pm: A source close to the Board has confirmed it to NDTV that the result time has been changed. TS SSC results will be available tomorrow at 7.00 pm instead of 10 am. April 26, 6.50 pm: Due to multiple logins, there are chances that the official websites may slow down, in such cases candidates are suggested to wait for a while and retry later. April 26, 6.20 pm: Students waiting for the 10 class or SSC results should keep the admit card in hand. Roll number and/ or date of birth will be required to login to the Telangana result portal. April 26, 6.00 pm: After downloading the TS SSC result copy students should take a printout. Official certificates will be issued by the Board few days later. April 26, 5.30 pm: Immediately after downloading the online mark sheet of 10th class result, students should check the important entries made. Class 10 pass certificate will be issued by the respective schools. The certificate will be considered as date of birth proof in future.